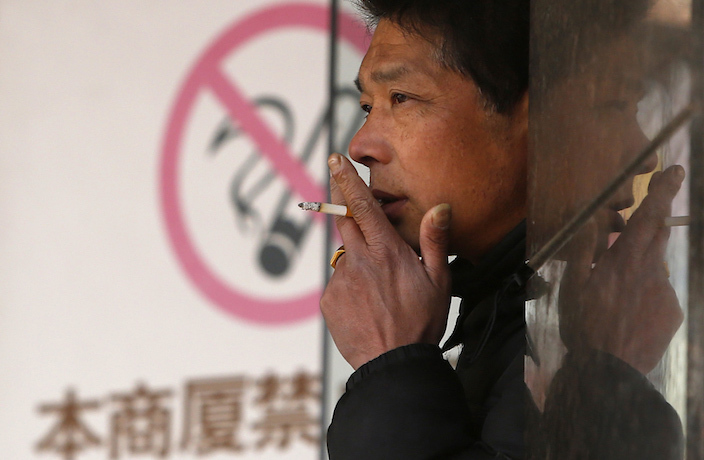 Every month, nearly 1,000 Beijingers use WeChat to report on those who are violating the city’s smoking ban. WeChat users can report offenders through the Beijing Tobacco Control Association’s official account, "Smoke-Free Beijing." From August to October, the account received 2,717 reports. In recent months, there have been an average of 900 reports filed each month. That’s up by about 50 percent compared to reports received during the second quarter of the year. Most business that were found to violate the indoor smoking ban were restaurants, office buildings and Internet cafes. Anyone who follows the "Smoke-Free Beijing" account can easily and instantaneously report establishments or patrons that are violating the law. Users can even upload photos evidencing violations. Volunteers are then sent to the location to investigate the reports. Anyone who is found to have offended more than five times will be punished. The names of businesses and restaurants that are found to be breaking the rules will be published on eBeijing, a site approved by the Beijing Municipal Government, and the website of the Beijing Municipal Commission of Health and Family Planning. Beijing put a ban on smoking in public places – including public transport, schools, work places, airports, medical facilities and some tourist attractions – in June 2015. Since the law went into effect, 1,245 workplaces and 5,243 individuals have been punished for violating the ban. New metro card vending machines allowing the use of WeChat and Alipay to top up cards have been placed in eight Beijing subway stations.